Dedicated and empathetic… with a splash of inspiration! Enthusiastic. Big smile. Ready to help. It’s how Janey shows up. Every time. When we first met, Janey was an engineering student. She was part of the team working with the Creative Encounters with Science program at the University of Guelph. A year later she was the camp director leading the team. Another year later, and she joined my team at the national level on the board of Youth Engineering and Science Camps of Canada. Right from the start I saw her as a master of relationship building and trust building. As facilitators, we talk a lot about how we need to cultivate connections and grow them. How we need to give people the tools and confidence to make long-term change. Some facilitators reach for this; you can feel them strain. Others are naturals. Janey is a natural – with a ton of knowledge and experience backing up her expertise. Janey’s career has taken her to positions in the US and back. Along the way, she’s re-invented herself several times. Showing courage and determination. Staying true to who she is. She’s taken risks for things she believes in. Through all the changes and challenges, she maintained her openness, her thirst for the new, and her strong focus on people. She always sees possibility, hope, and opportunities for people to grow and shine. She is a terrific listener who asks insightful questions. And she’s generously empathetic. She has a contagious, positive spirit that draws people to her. She encourages others to find the same optimism and can-do energy within themselves. But don’t expect Janey to tell you that herself. She is humble, understated on the topic of herself and her accomplishments. And that just makes her even more inspiring. She helps people be at their best, and gives them the tools and the trust to work together for meaningful, lasting change. Enthusiastic. Big smile. Ready to help. Every time. #SHIFTsauce: Let’s start with your early influences and career. What steps did you take on the journey toward who you are today? I’m going to go all the way back to when I went to university. I was good at math and science, so I enrolled in environmental engineering at the University of Guelph. I soon realized this wasn’t the place for me. One of the reasons I stuck it out, besides wanting the five-dollar iron ring, was because I got involved in this program called Creative Encounters with Science. In my second year, I was a counsellor in the program, and then for the next three years I was the director. In the months of July and August the kids came to campus and we ran a science and engineering summer camp. That’s how I met Moe. He was running YES Camps of Canada, representing all of the science and engineering camps across the country. All the camp directors would meet twice a year to strategize and plan. Moe would also organize professional development and training sessions for us. For me, there were a couple things that were happening at that time. I realized that there was something about that work that I loved. I was just having so much fun, whether it was designing the programs, teaching activities with the kids, or leading the staff. Everything about the experience was amazing. At our national meetings, I had the opportunity to watch Moe in action. This was the first time I had a connection with a leader who was super inspiring. He exposed us to exercises and activities I’d never experienced. Every time we all got together, I felt like I was gaining new knowledge. Moe had a way of creating trust with all of us. I saw him as so passionate about what he did. He was super credible in that. Trust also came from the cohesion he built with everybody in the group. He was always available anytime we needed resources. You knew you could count on him. If something happened with your program and you weren’t getting the local support, Moe was always there to help guide us. The whole thing was a fantastic experience for me. When I graduated, I knew I wasn’t going do this thing called engineering. I was left with this feeling that I wanted to do something that involved leading people. But when you’re so young, you still aren’t clear on what that actually looks like. So I ended up as a front line manager in a manufacturing plant, Hostess Frito-Lay, for a couple of years. I found that I was most passionate about giving people unique learning opportunities, facilitating development conversations. I found myself copying what I’d learned as a camp director and always added teaching elements to our team meetings. #SS: How did you know what to bring in, what would fire people up? I was just responding to what I was sensing were my team’s needs. I’ll give you an example. I was managing a team of merchandisers in sales and there were a lot of part-time employees in the grocery stores. Product rotation was important, and I would find the product wasn’t rotated. Unfortunately, there was a lot of blaming going on within the team. I was paying attention to the language they were using. For me, it was like nobody was taking ownership or being proactive. #SS: Which part of that do you see as training, and which as coaching? For me, the training is, “Here’s some knowledge, let me impart it to you.” Or “Let me take this wisdom from the experts.” Coaching is, “Okay, so now that you have that, what do you want to do with it?” – the application of it. In coaching, you’re asking questions and pulling the solutions from them rather than giving them the answers. #SS: Where did you go after that early two-year stint? I moved into sales, and discovered there was such a thing as a sales training manager. I didn’t know this world existed! I met this incredibly inspiring person doing this work – his name was Ron Kreutzer – and I remember thinking, “I want to do that.” One day, I found out that he was moving into a different role and that his job would be available – the sales training manager for Ontario, with Frito-Lay Canada. So, I marched into my manager’s office and asked to be considered for it. I landed the role, and ended up deciding that was the place I wanted to continue to learn and grow. #SS: And you also pursued educational opportunities? I always have. Around that time, I did my Adult Education Certification at Conestoga College. I loved that it exposed me to the full cycle of training and development – from needs assessment to program evaluation. Course after course, I had the opportunity to deepen my knowledge and understanding. Applying what I was learning at work, I really felt like I was building some core expertise. I would train managers; I would train other people to be trainers. I would I train our high potential employees. I’d bring them in for development programs. Later, in 2010, I did my executive coaching certification at Royal Roads University in British Columbia. That broadened both my skillset and more importantly my mindset about different ways to engage with leaders. And, over the years, I’ve also been certified through Franklin Covey and DDI, which is Development Dimensions International. Another tool we used a lot at Frito-Lay and I have been certified on is Insights Discovery. In being certified with any one of these partners, you typically have a teach-back component and get a lot of feedback on your facilitation overall. So in a variety of ways, I continued to get coaching over the years on my work as a facilitator. #SS: So you were always very prepared for the next stage of your career. Which was what, after the sales training manager position? I did a little stint on an IT project, but I eventually came back into organizational development. Then I became the director of organizational development for Frito-Lay Canada, which eventually became PepsiCo Foods Canada. 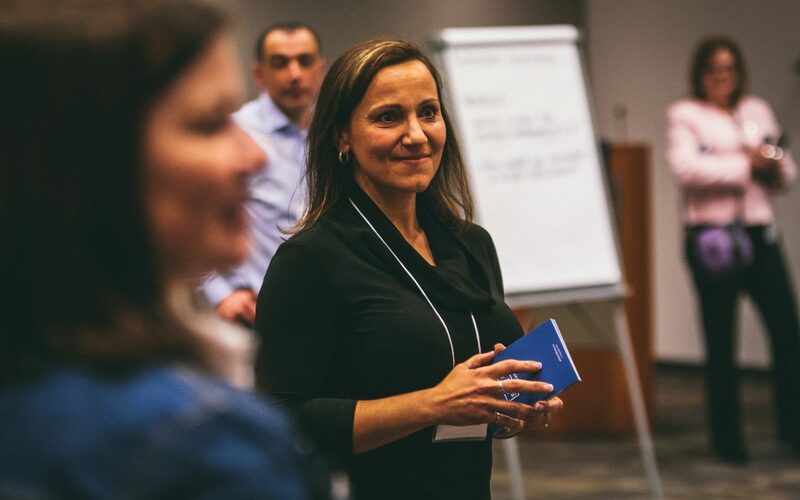 #SS: How was organizational development defined at PepsiCo? It was overall talent management for the organization which included training and development, all of our leadership development, and what PepsiCo called our core people processes. We did a lot of 360 feedback, leadership assessments and change management. I also led succession planning internally. A team of sales training managers reported in to me, who supported sales capability for the business. As I became more senior, I started doing more facilitation, more team engagement and intervention with executive leadership teams. Those were always interesting and fun parts of my role. 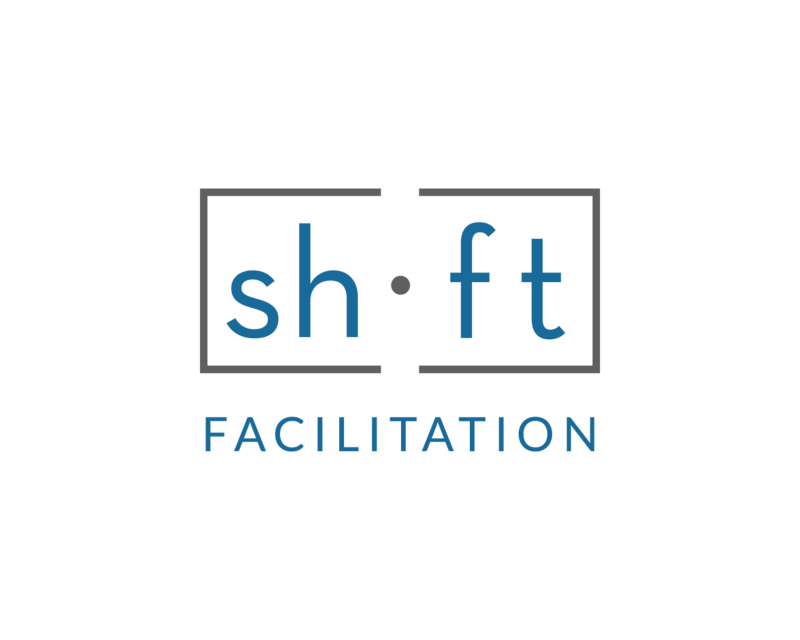 #SS: What would you say is the key difference between the training and facilitation work you did there? At PepsiCo, we had off-the-shelf type training that we would use when there was an identified need or opportunity with the team. But as facilitators, we were typically called on to deliver more customized solutions. For example, a senior leader wants to work with their team to define their purpose, vision, and guiding principles. Another example might be that a leader wants to address accountability and decision-making or perhaps team dynamics overall. I still love this kind of work today, but it does require going deeper as a facilitator. You have to dive into the insights from a thorough assessment. You have to be confident that you’re delivering the right solution for them. #SS: How do you know how to gather those insights and get at the core of what the challenge is? I’m such a people pleaser. Early on that meant that if a manager came to my desk and said they wanted training, I was like, “Yes, yes! Let’s do it. What do you want?” I would just deliver what they were asking for. Then, over time, I learned to ask more questions and sometimes even say – I came to feel that my role is to probe and really understand what the need is. My job was to help the manager identify whether it was really a training opportunity or not. Maybe what was needed was training plus a bit more. They also needed to consider how they were going to sustain the new behaviour over time and, as a manager, what they would need to reinforce. I think I just got smarter about what it took to truly make an impact. #SS: And you felt that couldn’t happen with one-and-dones? I think one-and-dones are, for the most part, at risk of being ineffective. I started to observe that it required some other elements to truly create a solution that was impactful and sustainable over time. #SS: Do you have any advice on listening effectively, when it comes to probing and gathering the information you need? That’s a good question. I always like to look to the data first. When you’re in the role of an internal facilitator, you have access to the data, the insights. I ran the internal employee surveys, so I had all that information. I was always thinking about the link between the broader talent strategy and the development opportunities that leaders were asking for. I had to assess how it connected back to either our talent development strategy or our overall HR strategy. I think that’s the unique perspective that my engineering degree gives me â€“ using a systems thinking approach. #SS: So even if engineering felt like a bit of a misfit at the time, you took from it what works for you. I’m always trying to connect the dots and put the puzzle pieces together, including now that I’m out of the corporate role and working with different clients as a consultant. When we’re partnering with an organization today, to get insights into what is the bigger, broader picture, I will often probe and ask about their overall talent development strategy. I find my mind trying to connect the dots, so I can know if the solution we’re recommending is going to deliver the results the client is ultimately looking for. #SS: Tell us a little about the organization you work for today. It’s called The Roundtable. We do peer-based group coaching and team-based coaching. Our solutions tend to be longer engagements delivered over time. I’ll give you an example. We run a program called Roundtable for Leaders, a ten-month peer-based group coaching program. Eight leaders get together every six weeks for three hours. There’s a one-hour learning topic, and two hours of peer coaching. They bring real problems they’re facing to the table. They also get five hours of one-on-one coaching. We really are engaging with them on a much deeper level. #SHIFTsauce: You mentioned you’ve done train-the-trainer work. How do you transfer not just knowledge, but also your passion and this sense of possibility, so that people feel inspired to do what you do as a facilitator? #SS: What do you feel that that is? I do feel that as soon as I have the opportunity to get in front of a room, I light up. I feel this energy that moves through me. People describe it as this passion that they see. I can quickly establish trust with an audience. I feel like they feel safe with me, that I am relatable. I’m very comfortable sharing my stories. Sometimes it takes courage, but I find when you can demonstrate that vulnerability, you’re going to get that back from your participants. They’re willing to open up more and share more. There’s a level of comfort, safety and trust that you create. If I had to say my towering strengths, I think those are a couple of the things that I feel like I know are more natural. I don’t have to think about these things, they just sort of happen naturally. #SS: Are these strengths that you feel others can cultivate in themselves? I think the trust and the authenticity, working to create a trusting environment – for sure you can cultivate those. #SS: I want to make sure to ask you, what do you think makes a good facilitator or coach? I think somebody who, before the session, takes the time to truly understand their audience. They do all the preparations so that when they arrive, they’re ready to go. I think somebody who really is participant centred. They’re constantly thinking about the experience for their participants from the minute they walk in the door. I’m smiling, I’m greeting them, I’m making them feel welcome through the whole journey, whether it’s an hour or a full day. The ability to adapt – that’s a key skill, to be dynamic in that you’re constantly paying attention to the audience and you’re able to adjust. If you stick to the script all the time, you’re going be at risk of not tuning in to what they actually might benefit from or where they need the conversation to go. The opportunity to engage with people in that way is super meaningful to me. It fuels me. I love being creative and adaptable in the moment. I love helping people get to those ‘Aha’ moments and discovering new possibilities. #SS: You’re changing them. You’re helping them learn how to change themselves. For sure. At least, you hope so. Curious to learn more about Janey and her work. Connect with her on LinkedIn.